Studio 19 Pilates offers a beautiful, clean, light-filled space in which you can expect to receive expert instruction that is sensitive to your personal needs. It is our goal to help you use Classical Pilates to look and feel your best. We have personally experienced, and have seen again and again, the ways in which dedication to the Pilates method can promote strength, health, and even a happier outlook on life. We invite you to join us at Studio 19 to experience the power of Pilates. A personalized Pilates lesson providing one-on-one instruction on a variety of Pilates equipment. Privates are the best way to learn Pilates and to receive instruction that addresses your individual needs and goals. Pilates was originally designed to be an individualized workout because this is the way achieve the best results! Duets *all prices are per person. The ideal way to share a Pilates lesson with a friend or partner. Your instructor will provide each participant with a personalized and challenging workout and make use of variety of Pilates equipment. Duet lessons work best when both participants have some prior experience with Pilates. These sessions offer individualized Pilates instruction in the privacy of your own home or office. Your instructor will travel to the Vancouver location of your choice and provide customized instruction. In this case, any equipment used must be provided by the client. A crucial part of the Pilates method, many of the most challenging exercises are in the mat work. Done in small groups, these classes offer a fun, challenging and invigoration workout. We recommend booking your group classes online and in advance to ensure your spot, as there is limited capacity. *We recommend that all new students take a few private lessons before joining a group mat class. This will help you to understand the fundamentals of Pilates and to benefit more from the mat classes. If you are new to Pilates Matwork or are looking to deepen your home practice then this is the class for you. Explore the fundamentals of classical Pilates Matwork with personalized, experienced instruction. 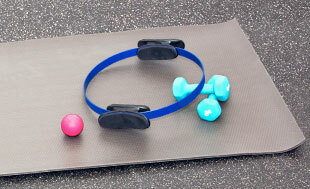 Done in a small group setting, this is a progressive series of 4 55-minute classes. This class is geared towards those who have some experience with Matwork but are ready for more of a challenge. Done in a small group setting with expert personalized instruction. 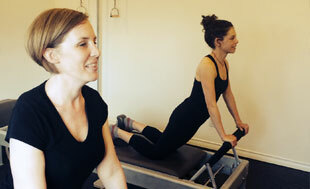 This is a progressive series of 8 55-minute classes with an Apprentice Pilates Teacher. If you are looking for a challenging classical Pilates Matwork class, then this is the class for you. It will leave you feeling invigorated, strong and successful. Must have classical Pilates experience prior to joining this class. This is a progressive series of 8 55-minute classes with an Apprentice Pilates Teacher. A circuit style class where up to 5 students can work on multiple pieces of equipment at their own pace while an instructor circulates around the room. This style of class is how Joseph Pilates ran his original studio in New York city. This is a fantastic and more affordable way class for all levels of students who want to come more frequently and build a stronger more independent practice. Students must have done at least 5 privates and have prior permission from their teacher. Cancellation Policy: 24 hours is required for all cancellations, otherwise you will be charged the full cost of the lesson.